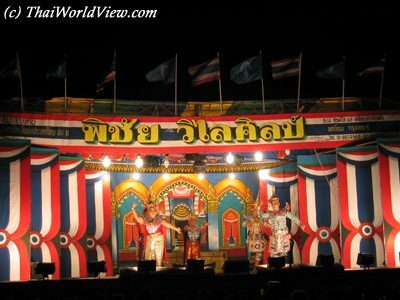 LIKAY (ลิเก) is a Thai popular form of folk theatre. 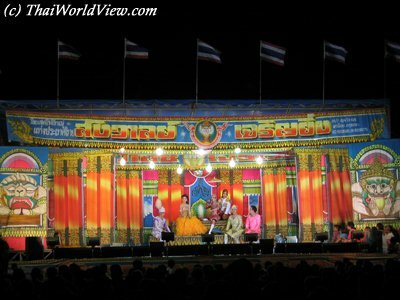 Likay performances even take place on Sanam Luang square in front of Wat Phra Kaew (Bangkok) on every 5th December (date of the King Rama IX birthday). 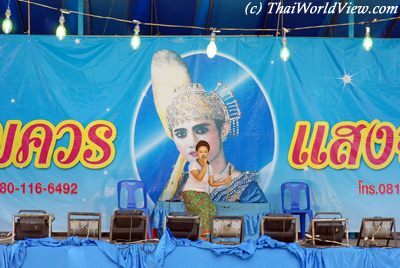 It is very honorific for a Likay troupe to be able to perform on Sanam Luang square near the Royal Palace. Likay popularity is decreasing as the main audience is often made of old people. A classic Likay performance features the story of "Khun Chang Khun Phaen", i.e two men fighting over a woman. 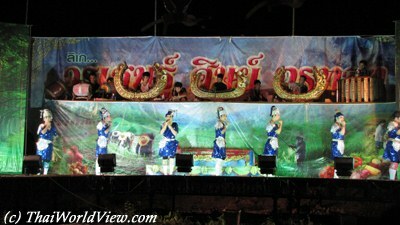 Nowadays "LIKAY" performances can be seen in Central Plains towns. It is difficult to find such performances in Bangkok. 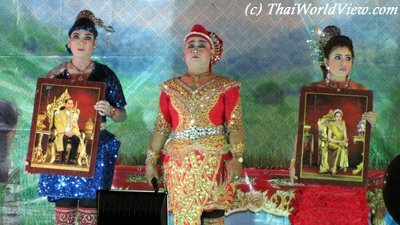 Likay performances were so popular in the past that in year 1960 a Thai man has been arrested for burning down his house in anger because his wife attended a Likay performance without him. Likay has evolved a lot over the years. Costumes used to be decorated with diamonds but nowodays are covered with crystals. 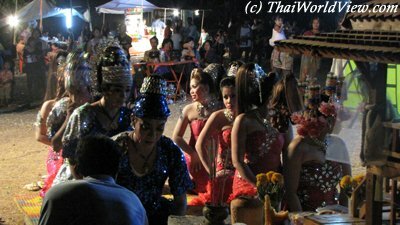 Nowadays some Likay troupes not only focus on singing and dancing but also through country folk songs (ลูกทุ่ง). 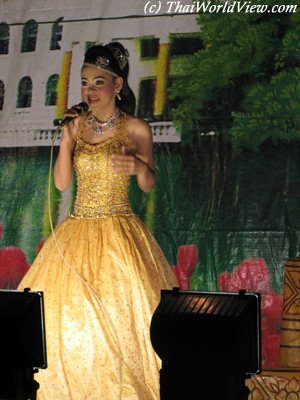 Normally a Likay story can run for a few hours mixing songs and theater performances. 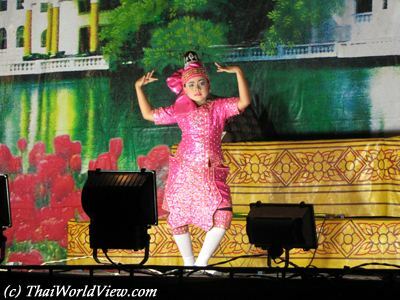 Thanks to their great skills, Likay performers are able to make their audience imagine the scenes through poetic words, gestures and actions. 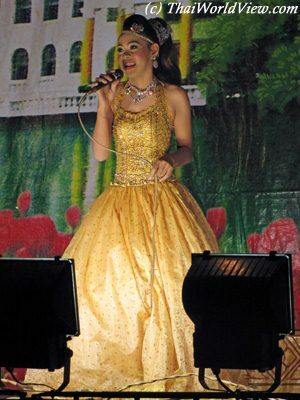 To keep audience, Likay performances need also to evolve with up-to-date stories, modern costumes, new dancing styles. 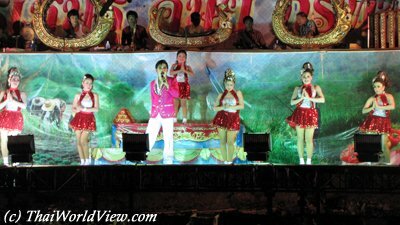 Nowadays Likay fans can watch performances at temple fairs, on VCD as well as on YouTube! Likay fans and likay stars can communicate through Facebook or Instagram by sharing pictures. Due to social networking websites, young people are paying new attention to Likay. 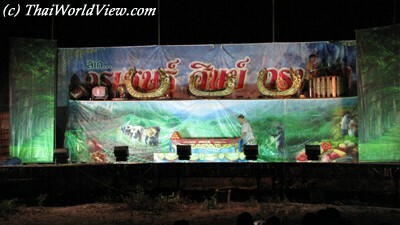 Likay or Thai Folk Drama is a traditional dramatic performance, which exists for more than 100 years. 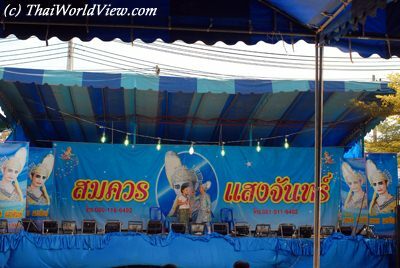 Below link features pictures of Likay performers during the King Taksin festival in Thon Buri. The major Likay troupes in Central Plains area are still popular with a lot of followers. 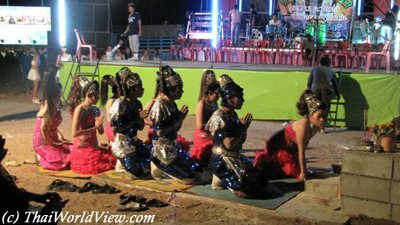 Those practitioners of Likay are performing the "WAI KRU" rite (paying respects to the teachers) before going on stage. They are also paying respect to local deity per the request of event organiser. 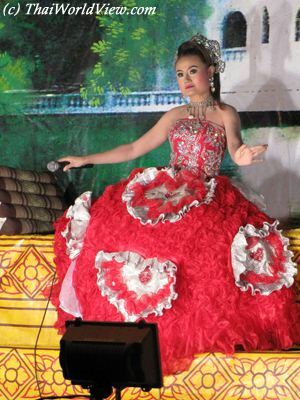 Likay performance often attract middle age people or older people audience. 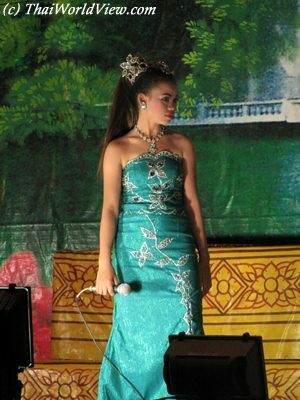 Those practitioners of Likay also pay respect to the King and the Queen of Thailand before starting performing. 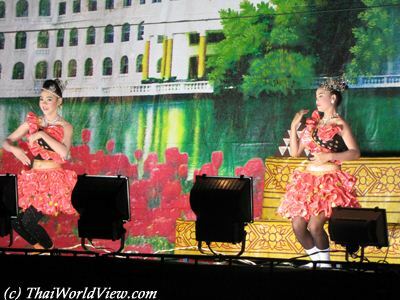 Nowadays Likay troupes also use concerts to draw teenagers. Target is that they continue to sit during the whole performance. Likay modern stories do not only focus on traditional tales but also on more contemporary themes. Sometimes stories are even based on popular Thai TV series!